Tote-N-Stor portable waste transporters provide you with the added waste water storage for those long stays without moving your RV. This Tote-N-Stor model also comes with a 15" garden hose, 3/4" grey water hook-up hose, garden hose cap, sewer hose adapter, 36" of 3" sewer hose, a hose clamp and a tow bracket. All of which fits nicely in the side box folding compartment. 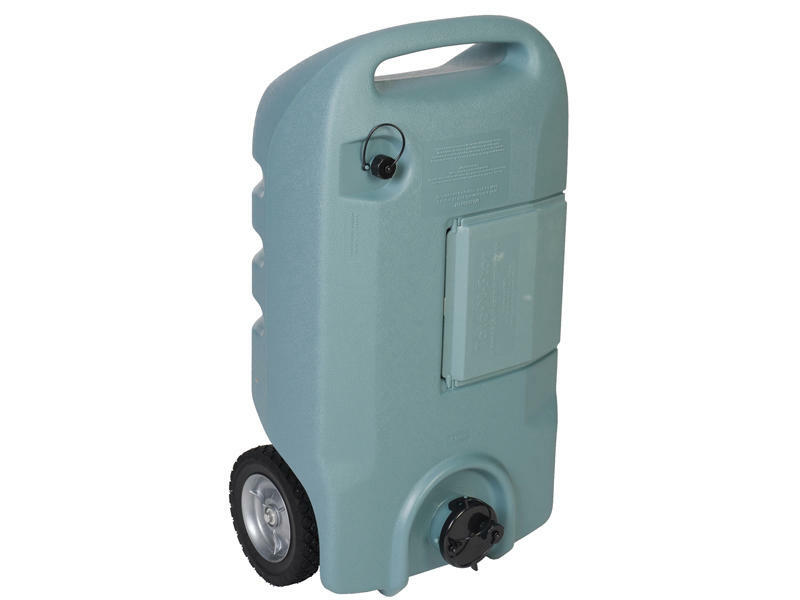 The larger 15, 25 and 32 gallon models add capacity, along with the convenience of a storage compartment for those commonly needed fittings used to connect or drain your portable tank. 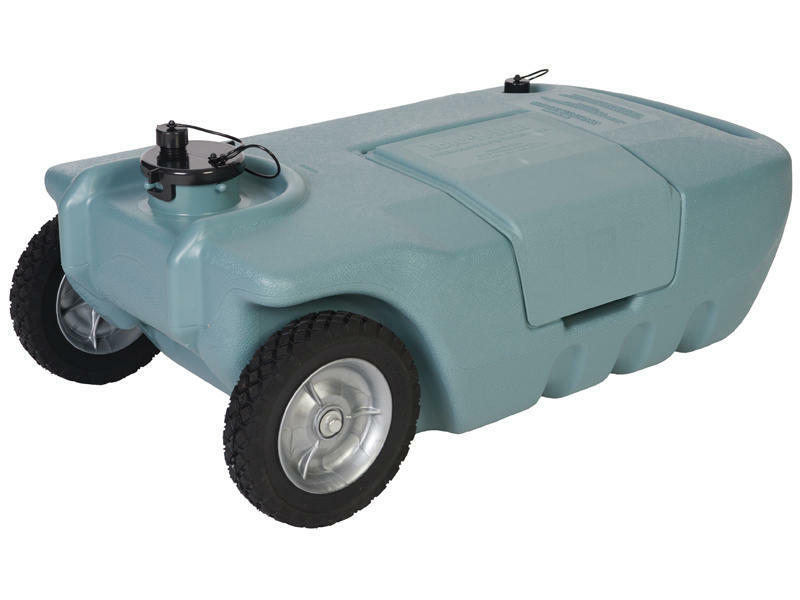 These tanks can be used in conjunction with both grey and black water holding tanks.